It was nearly midnight before the first fatal drops splattered from the rattling still. The old woman scoffed, and adjusted the fire under the still. Later. When? After she got pregnant, she’d worked even harder. A baby to support. A new house. A newer, safer car. They’d both worked harder, and they told each other they’d relax later. In time, when things would be better, and they’d all be secure. The baby was born, they hired a sitter, and kept working. The baby grew, and changed, and said his first words. The sitter took video. By then, she’d regretted all those days and nights she spent working. The sitter went home. The baby got sick. The husband packed him into a warm car on a cold, winter night, and disappeared too fast down a too icy road. And then, Time. Tick by tick, second by second, she moved further and further away from them. The love of her life—she’d always taken him for granted—and their child—more and more Time between them. She learned to fight her way backward through time, like running the wrong way up an escalator. She could get close – now and then, she could see them on the other side of the years and decades. And then, she slipped back. The currents carried her away again and again. She was still young, when the first strange optimism entered her mind: Time separated them. Time, and only Time. And if Time could be destroyed… if she could end Time… or even just wound Him, there would be nothing left to keep them apart. She could be with her family again. She plotted—how to reach Time, how to brew poison strong enough to kill Time, itself, how to sneak into the palaces of eternity unnoticed. And after she made her plans, she’d waited longer. No one would suspect a gray old woman of carrying poison in her tea. No one would suspect a single thing. She walked deliberately, so slowly, that at times, she believed she would die before she ever reached Time. Step by step, carefully… if she splashed—if she spilled a single drop–the poison that was brewed to kill an immortal could overcome a thousand, a million aging mortals like her. She teetered down to the end of the corridor, pushed open the last door, and stepped inside the dimly lit room. And then, there was Time. He lay, half-exhausted on a feather bed. Slender, almost delicate, though the lithe muscles in his legs and back suggested a runner’s strength. He looked—she thought, just for a moment—like her own baby might have looked at twenty or twenty-five, if he had lived long enough to grow so tall and strong. She pushed the thought out of her mind. The poison trembled in her cup: another second longer, and her own strength might vanish; she could collapse and spill the poison on herself. She inhaled, lifted the cup, as if she were about to drink, and then flung the liquid, cup and all, across the empty space between them. The poison splashed across Time’s back, and seared the flesh it touched; the cup bounced on the mattress, and then rolled over the edge. It fell fast, but, just before it should have hit the marble floor, it stopped falling. It stopped falling. Everything stopped. In the motionless silence that followed, the old woman laughed; her enemy was dead. There wasn’t a second of Time between herself and… Her family, her husband, her baby… They were all in that one, single Now. Now was all… the teacup was floating in air. Not falling. There was no Time for anything to fall. Not anymore. Time was dead. Running footsteps on the floor behind her. A man or a god swept her out of the way. Before she could say anything, he rolled the corpse onto its back, and pounded on Time’s chest with his fists. He pressed his mouth to Time’s lips. A kiss, perhaps, or maybe resuscitation. She knew the effort wouldn’t work; the new god was already kneeling in her poison. The elegant room faded into white tile and florescent lights, and then, it slipped away all together. Somewhere… hadn’t she just been somewhere else? She tried to get up. Tried to find someone she didn’t see. She couldn’t remember who. And then, a bland young woman in a too-cheerful set of hospital scrubs was there beside her, coaxing her back into the chair she’d just left. “Your cup is perfectly safe,” the bland woman said, and patted her hand. 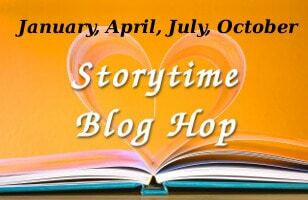 Be sure you visit the other writers in the StoryTime Blog Hop for more stories! Aaaaahhhh!!!! Oh man… bad mistake to make! Aww, shucks…. I’m glad you liked it. Thanks for stopping by! I’ll be heading over to your blog next. Oh, so sad. You captured the emotion and heartbreak of this horrible disease. Well-written story that will be appreciated by caretakers of loved ones suffering with dementia/Alzheimers. I’m glad you liked it. I wasn’t quite sure if the ending would work out, when I wrote it. With my husband’s grandmother dealing with Alzheimer’s, that ending tugged the heartstrings. Thanks, I’m glad you liked the ending. I had a few qualms about it. Fascinating story – I loved the tension throughout! Ooh! I really enjoyed that! Very nice! Thanks! Good to hear you enjoy it. I’m glad you liked it. I was a little iffy on the ending, at first.